When they need HR Support Services, Boston, Massachusetts organization and business owners can turn to the professionals at HR Knowledge. We primarily cater to New England organizations including small to medium sized businesses, nonprofits, charter and private schools, and high tech companies that lack the internal resources necessary for managing complex HR functions. Our solutions cover a wide span of HR support services Massachusetts companies can utilize at any stage of the business lifecycle. We help our clients with human resource management, payroll, employee businesses, and so much more. To learn more about how we can help you, contact us today. With more than 100 years of combined experience, our team of HR consultants and managers will go to work for your organization ensuring that all of your ducks are places and remain in a row. Here at HR Knowledge we view all of the services we provide as more than just services; we believe that everything we have to offer is a solution to complex HR issues. When they turn to us for HR support services, Massachusetts organizations will be gaining a partner. As our client you will find that we are fully invested in the success of your operation, and that we will go above and beyond to ensure that all of your HR needs are met. We work hard to set you up for success, ensuring that your organization is able to grow with the proper HR programs set in place. Human resources are an important part of any well working operation. If your business or organization lacks the internal capabilities needed to maintain an in-house HR department, you can turn to HR Knowledge for our vast array of HR support services. Massachusetts business owners who are looking to outsource any or all of their human resource responsibilities can trust that HR Knowledge has the solutions that organizations need. We offer great services such as HR Assessment, HR Compliance, and HR Training, as well as new hire kits, termination kits, and staffing services. 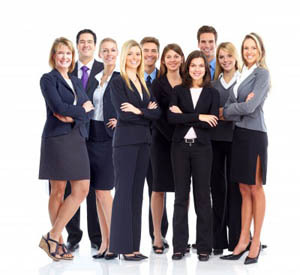 When you turn to HR Knowledge, you will have great list of HR support services to choose from. Here at HR Knowledge, we pride ourselves on being a different kind of administrative services organization (ASO). We stand apart from the competition because of our unwavering dedication to our clients. Our organization provides a concierge-level of service by going above and beyond for each and every one of our clients. Contact us online, or give us a call today at (508) 339-1300 to inquire about our affordable and unmatched HR support services. Boston, MA organizations can trust that when they turn to HR Knowledge, we will always put them first.